Arkansas sharpening stones have been prized for centuries for their unique sharpening properties. The soft grade is used to achieve a fast sharp edge with a polished finish. The natural Arkanasas Bench Stones are carefully selected and cut, then mounted in a high-impact storing case with non-slip rubber feet. 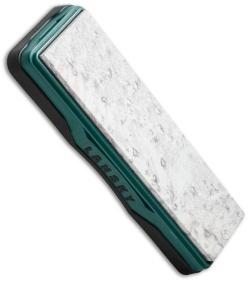 This not only protects the stone but improves sharpening ease and hand protection. An essential item for any complete sharpening system.